Max Verstappen admits that he regrets not racing Fernando Alonso more commonly in Formula 1. Alonso is entering his final planned F1 race on Sunday, and will not be around in a racing seat in the pinnacle series next season. Although he won't be racing, Alonso will still hold some form of role with McLaren, possibly on its pitwall. 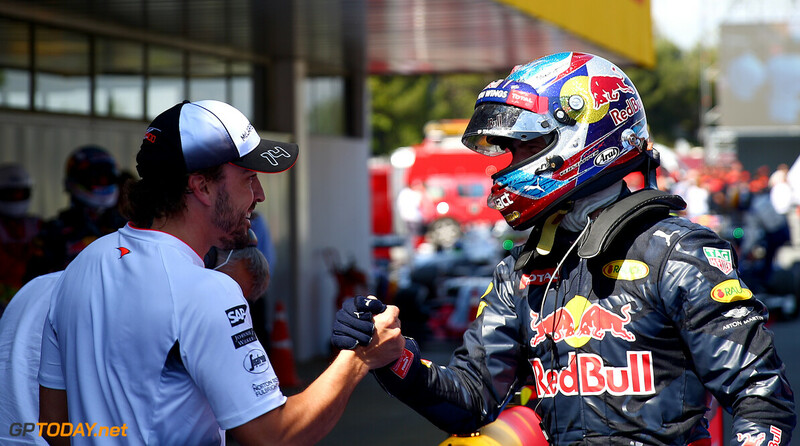 Verstappen and Alonso have shared the circuit since Verstappen debuted in the sport in 2015 with Toro Rosso, but the Dutchman said that their paths rarely crossed on the circuit. "It’s a bit of a shame, I never really raced against him," the 21-year-old said. "Of course he was in F1 but I never really had a fight with him because he’s always been in the back because of the issues they’ve had. That’s one thing I regret: I’ve been racing against Seb [Vettel]. Alonso also shared the F1 circuit with Max's father Jos for two seasons. When Alonso made his debut in 2001, Verstappen senior was driving for Arrows before spending a year away and arriving back in 2003 with Minardi. Mercedes' Valtteri Bottas added that he considers Alonso a legend of the sport, watching him compete when he was making his way up the racing ladder: "The main things I remember as a kid watching him winning the championships, he was kind of a legend at that time,” said the Finn. “Now I’ve been racing him for a while. He’s always a tough guy to race with," Bottas continued. "A little bit less so the last couple of years with such a difference between the performance in the cars. “But he’s a racer, he loves racing. I’m sure he’s going to carry on driving. He’s had a long career in Formula 1, achieved a lot, I respect his skills and that he shares the same passion as all of us," the former Williams driver concluded.